About two weeks ago our ambassador Oskar made a hard crash on the track in Kungsbacka. 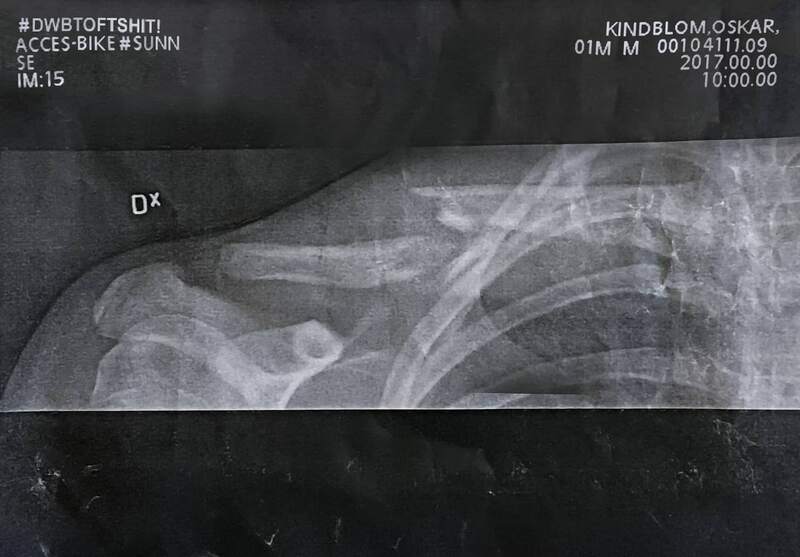 Unfortunately, he broke his collarbone and have to rest from his precious bike a couple of weeks. He felt a bit down but we are not worried at all. With his skills and flow, he will be hitting the tracks as normal as soon as he’s back on the bike!